We made an outing in the afternoon to Douglas Dam. 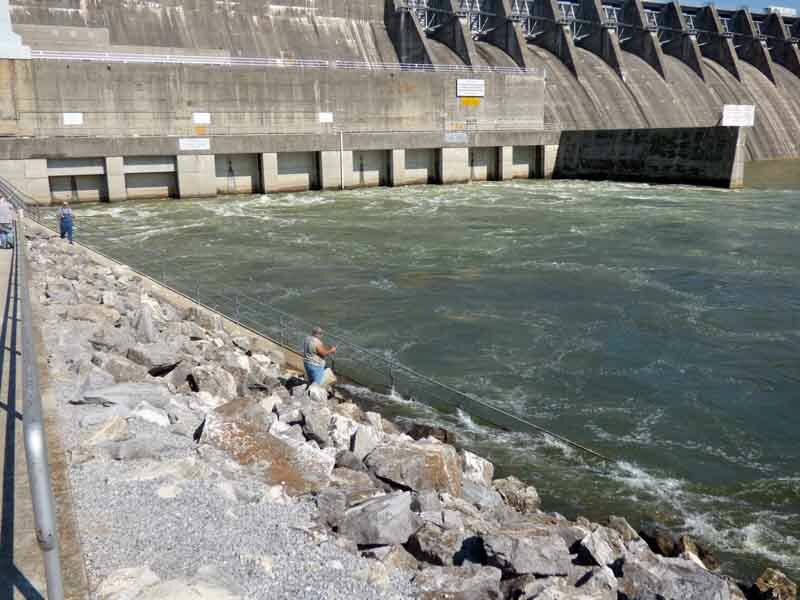 I suppose most school children learn about the Tennessee Valley Authority and all the dams they created in the 1930s and 40s. In case you didn’t or don’t remember, check that link to Wikipedia. Andy and I both learned about it and both acknowledge that we remember only a little of it. 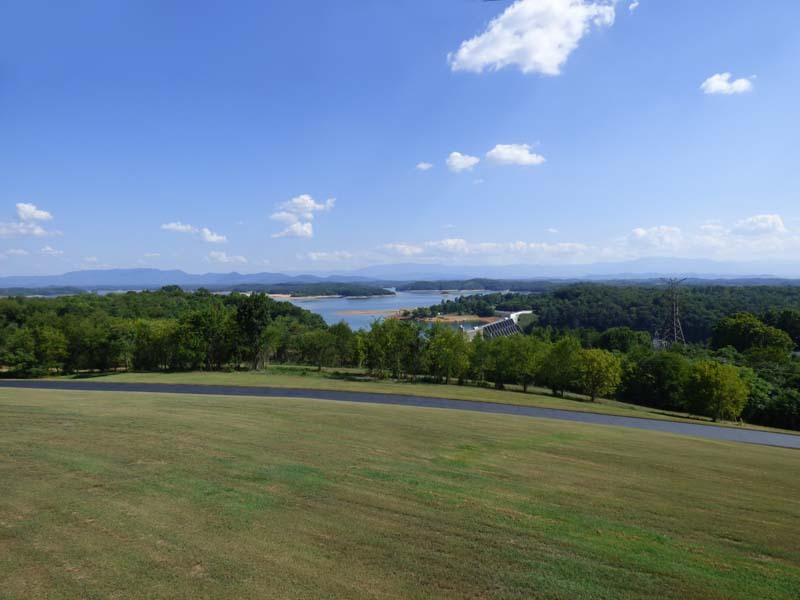 We took back roads through the countryside and crossed the French Broad River to Dandridge, the second-oldest town in Tennessee. Then we more-or-less followed the shore to the dam. 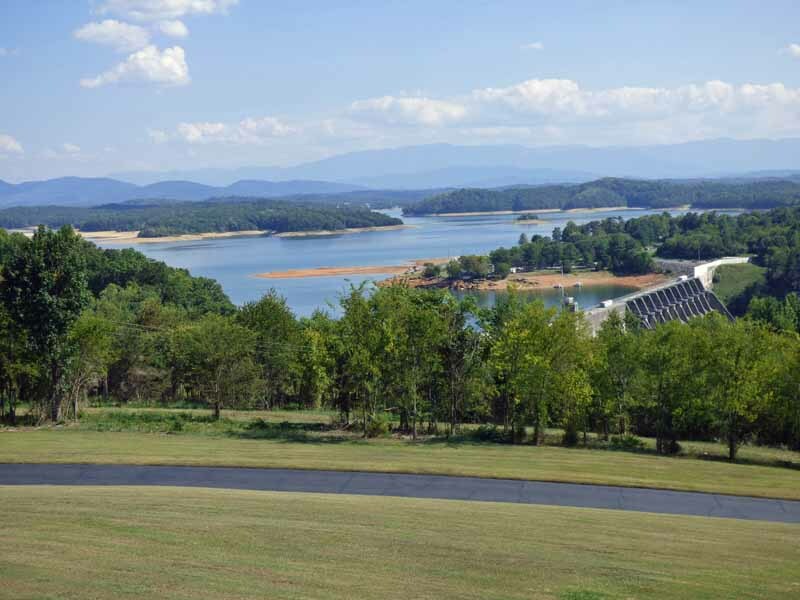 The park-like land around the dam is enormous. We drove to the upper overlook as the lower one was closed. It appeared that they were resurfacing the pavement. The view was beautiful. I zoomed in a bit on the dam. 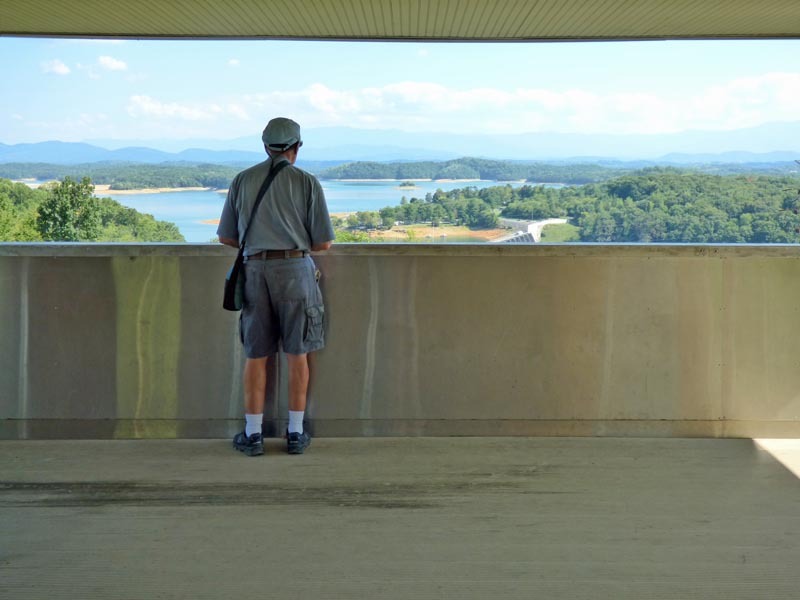 I like this picture of Andy looking over at the overlook. 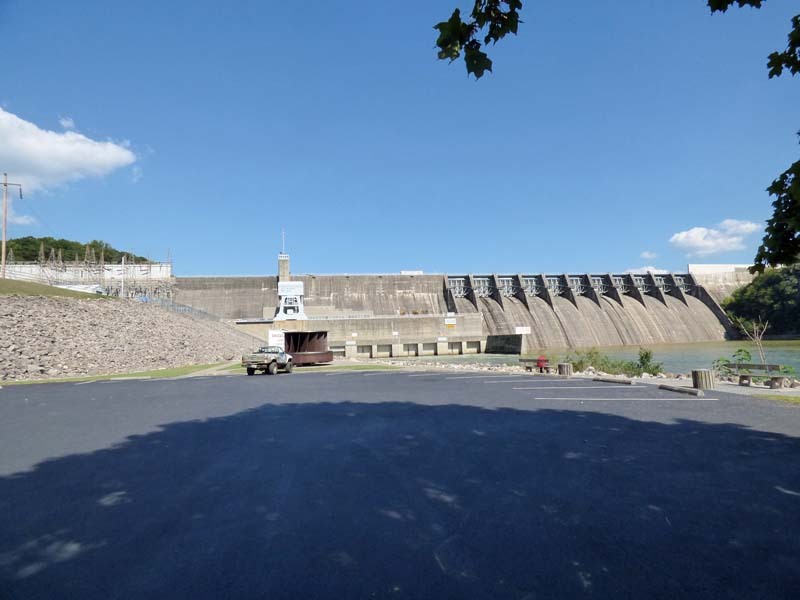 Then we drove down to the river to see the dam up close. 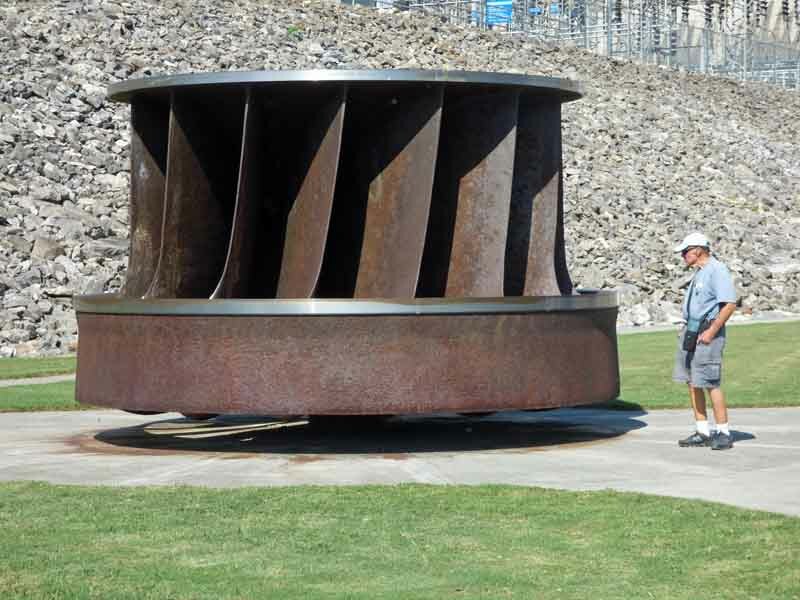 This old turbine was near the dam. 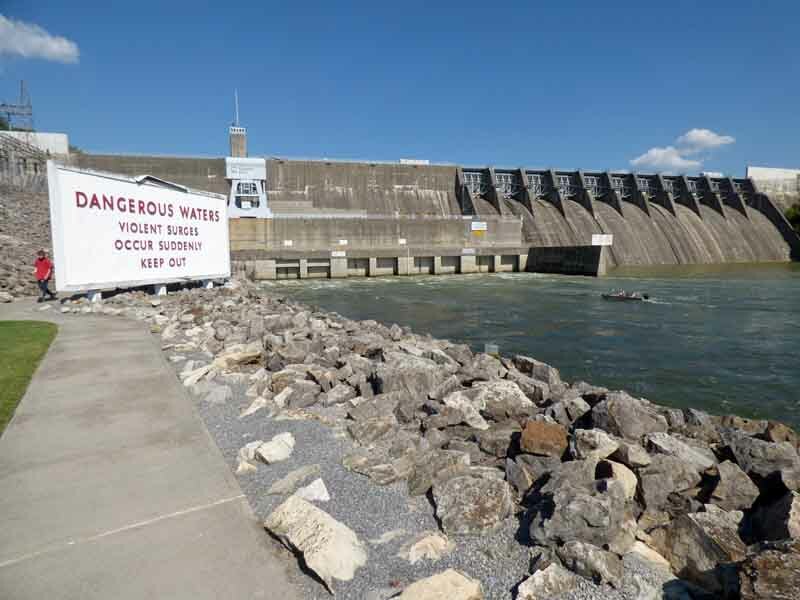 This large billboard warns boaters not to get too close to the dam. That small boat had two fishermen in it. They did not get any closer than that. They would motor up to that point and then drift back downstream – quickly. There were a few men fishing from shore. 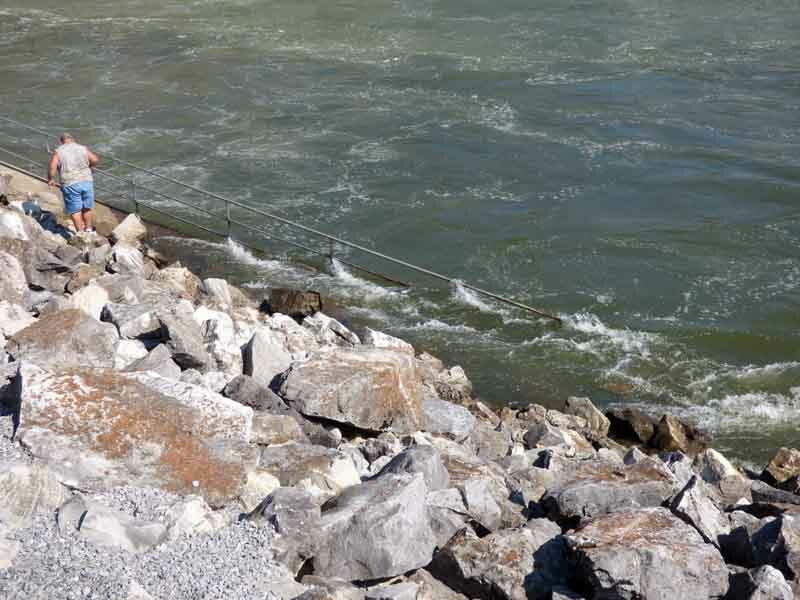 The man in the foreground was standing on the rocks, not on the sidewalk at the very edge of the water. Here is a closer look at the water flowing through the railings and over the sidewalk. We drove through a beautiful campground with large RV sites right at the water’s edge. I was driving and didn’t take any pictures. We crossed the river again and explored the TVA property on the other side. 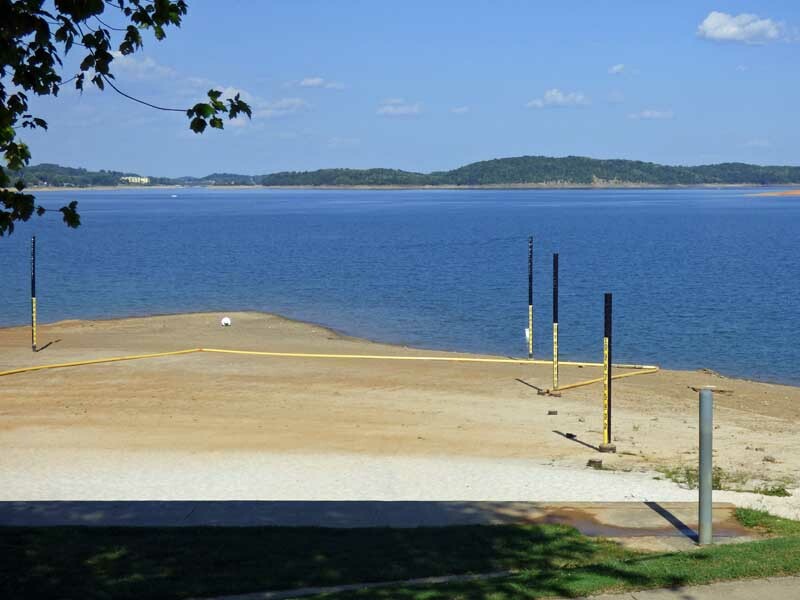 There is another beautiful campground and a large boat ramp over there. 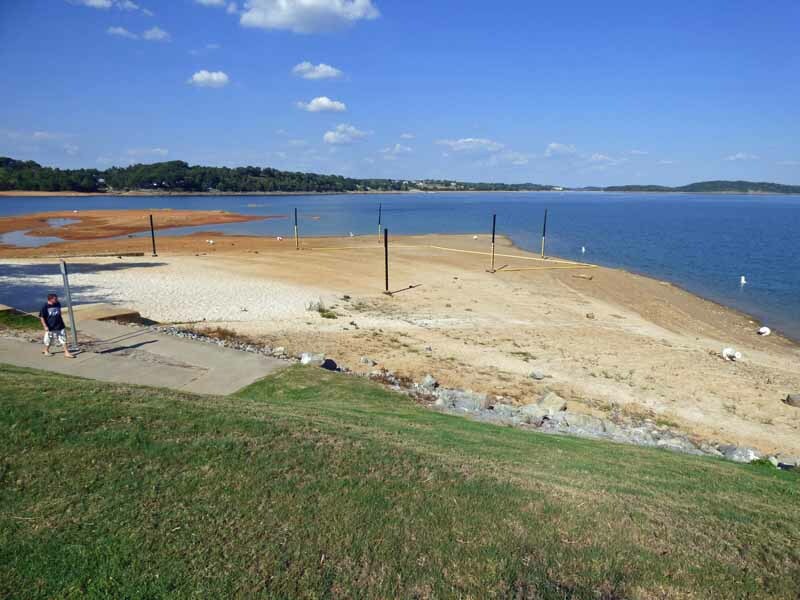 This point of land is normally under water. The poles have water depth markings on them but, they are all high and dry. Most of the buoys marking the shoal are also dry. Farther around the point, we came to a beautiful terraced picnic area in a grove of trees. 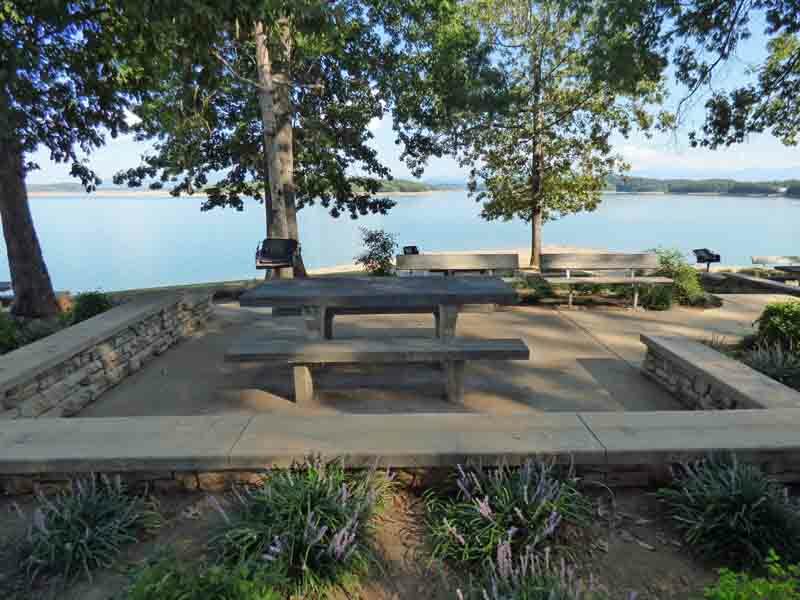 There were five or ten picnic tables, each with its own little plaza surrounded by a stone wall. The landscaping was beautiful. We found a bench facing the lake and sat to admire the view for a while. 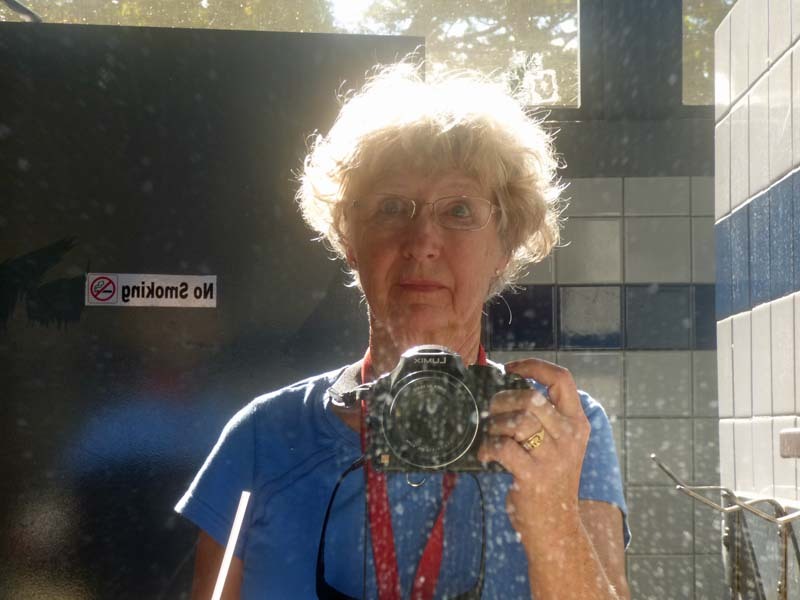 I was washing my hands in the ladies room when I noticed my halo in the dirty mirror. And, this, ladies and gentlemen, is why one should never wear a live camera around the neck while going to the toilet! Thank you. When I first got the pictures on the computer and looked at that last one, I couldn’t figure out what it was. I often accidentally take a picture, usually of the ground or sky. I had to burst out laughing when I realized what it was and where I had taken it. Too funny not to include in the day’s post. I should have expected someone to make a comment like that!! Thanks.